Everything is up to 70% off! Yahoo! New year, same wonderful you! BUT! 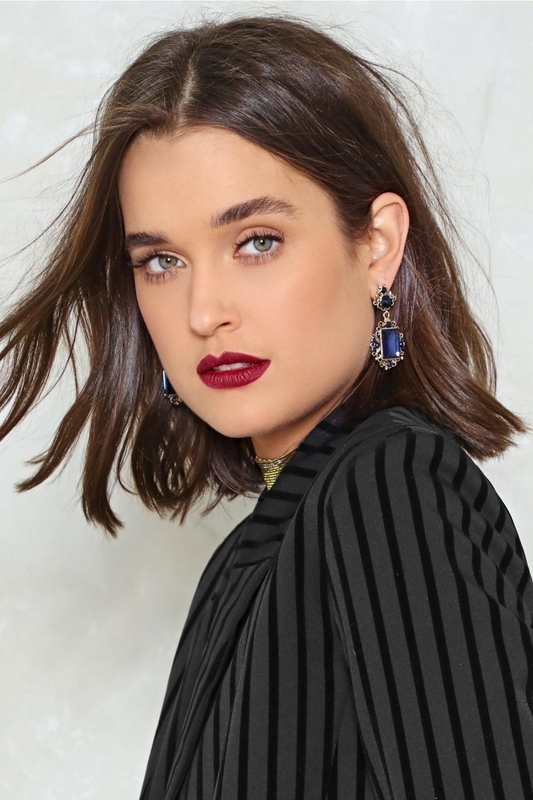 If you're looking to refresh your wardrobe for 2018, Nasty Gal is having a sale and everything is up to 70% off — meaning, it's time to pounce on that merch for a well-dressed 2018, people. 1. A mini dress with a gorgeous open back that screams "I DON'T NEED TO WEAR A JACKET." I WANT EVERYONE TO SEE HOW PRETTY THE BACK OF THIS DRESS IS. Price: $21 (originally $30) / Sizes: 0-8 / Available in two colors. 2. A sequin tee featuring teeth that definitely floss. Their dentist must be so proud. 3. 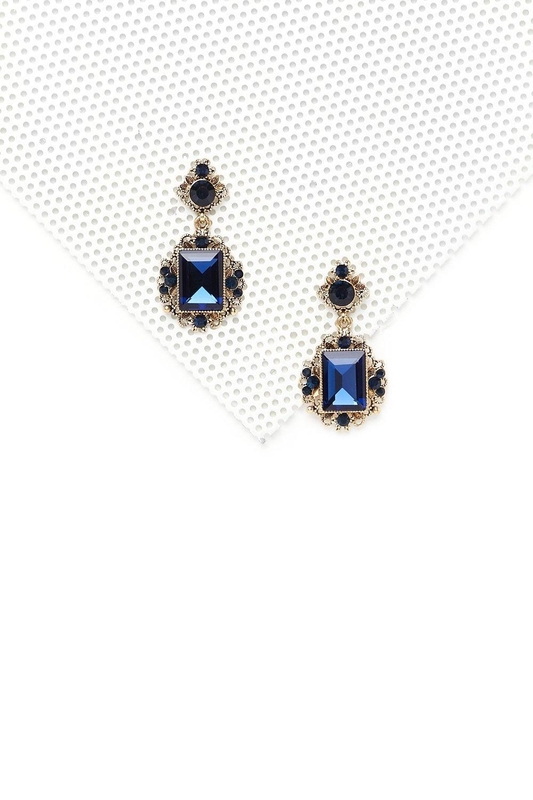 Rhinestone earrings that look like a fancy, expensive family heirloom gifted to you by your great-great-great aunt. 4. A chenille sweater you will not allow ANY of your friends to borrow. Not ever. Please don't ask, friends. 5. A turtleneck sweater known for being a little devious. It always has a little trick up its sleeve. 6. A pom pom beanie to keep your noggin nice and toasty during the cold, bitter months ahead. 7. A mini dress you shouldn't mesh with. It's known to leave wearers feeling starry-eyed. 8. A holographic bodysuit stolen from a little unicorn-owned boutique located in the Forbidden Forest. 9. A hand-beaded embellished romper so gorgeous, it almost hurts my heart to look at it. I'd happily wear it in spite of the pain, though. 10. Over-the-knee boots I'm not crazy about. I can't put my finger on it, but something about them just bugs me. 11. A chiffon shirt perfect for intergalactic travel. Mars: so hot right now. 12. A lace midi dress guaranteed to leave all your admirers singing "Lady in Red." Price: $21 (originally $60) / Sizes: 2-8 / Available in two colors. 13. A classic white t-shirt that is making Hades super nervous. Raising hell is his job, dammit. 14. 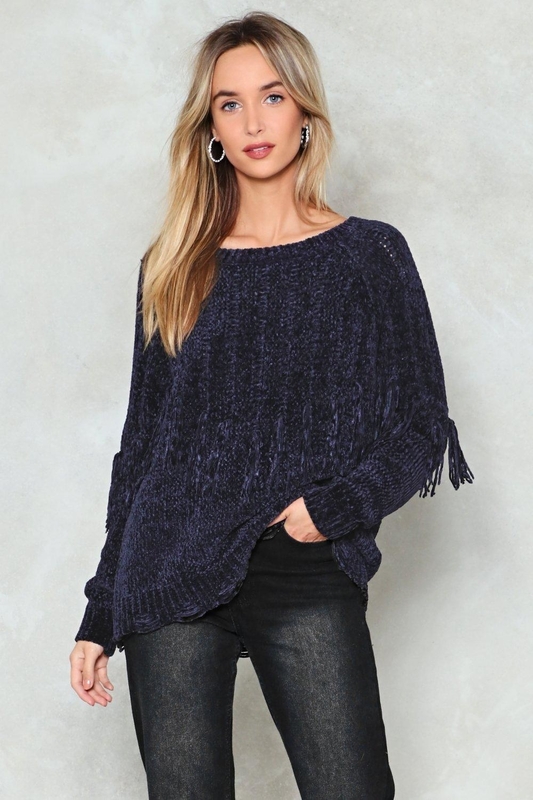 A sweater with a slouchy, oversized silhouette for times when Frankie Says Relax. Price: $14 (originally $24) / Sizes: S-L / Available in two colors. 15. A crochet blouse so elegant, you'll want to wear it every single day. You classy gal, you. 16. 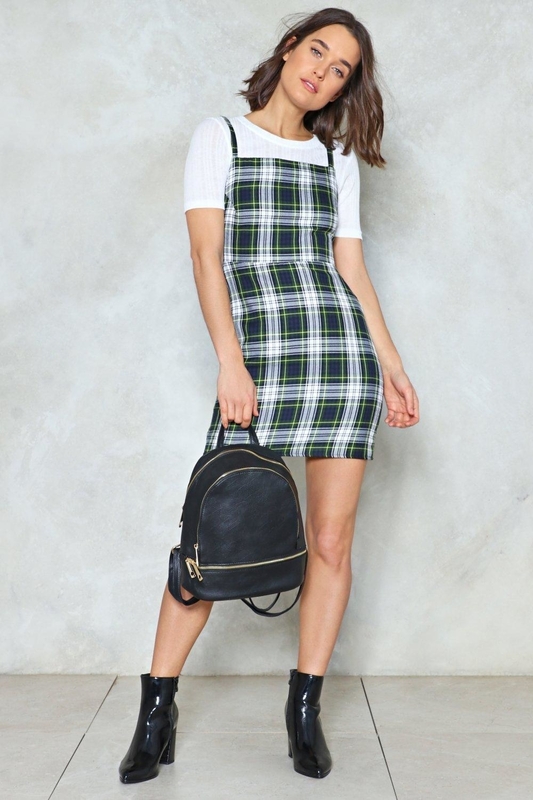 A ribbed dress you can dress down with some boots or dress up with some heels. Versatility is key, people. Price: $17 (originally 20) / Sizes: 2-10 / Available in three colors. 17. Studded heels obsessed with Sandy from Grease. They're always saying, "tell me about it, stud." 18. A leopard moto jacket that'll be the prrr-fect addition to your closet. Yowza! 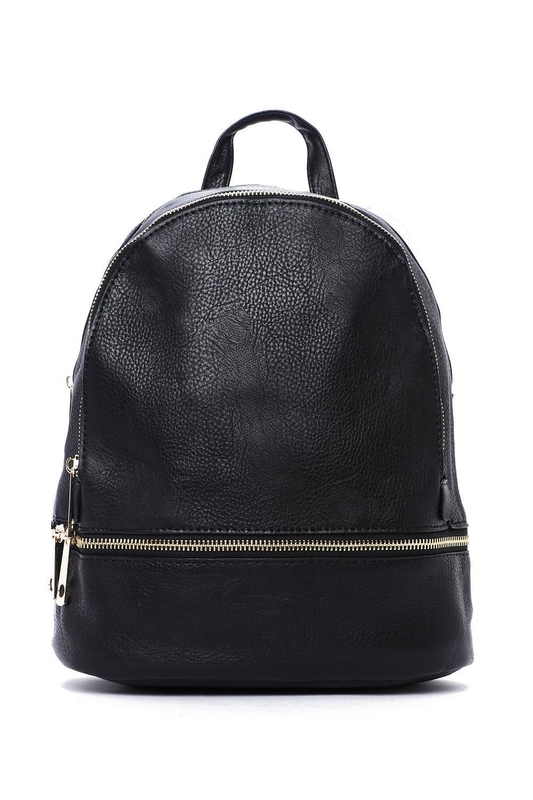 Price: $28 (originally $50) / Available in two colors. 20. A cozy velour sweater you'll want to wear alll throughout the winter. Maybe through the spring and summer, too. Who cares about the heat? You'll still want to wear this. 21. A gorgeous mauve top guaranteed to have you saying OMG: Oh Mauve God. 22. Dark wash jeans sure to add some ~flare~ to your wardrobe. 23. A mini skirt obsessed with the Alanis Morissette song, "Hand in My [Metallic] Pocket." 24. Brocade booties for feet that don't want to blend in. They were born to stand out, dammit. 25. A strappy tee you can wear all day, every day. Maybe not to sleep though! Just a suggestion. Price: $8 (originally $20) / Sizes: S-L / Available in three colors. 26. A sequin dress that'll make you say "Why yes, I am a flapper! Thanks for asking!" 27. A velvet dress you'll want to twirl around in constantly. Dizziness won't be an issue! I promise!